When it comes to asthma, hay fever and eczema, 2 is not company and 3 is definitely a crowd. Unfortunately, it’s common for children to develop one or more of these problems if they have a family history of any of these 3 conditions. In fact, since asthma, hay fever and eczema so commonly occur together, they’re referred to as the atopic triad. 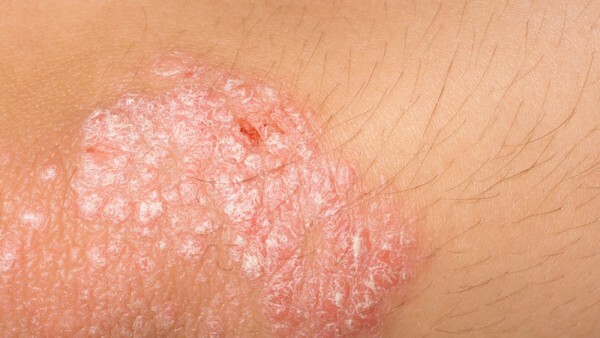 Eczema typically occurs first, with symptoms usually appearing when a child is an infant or toddler. 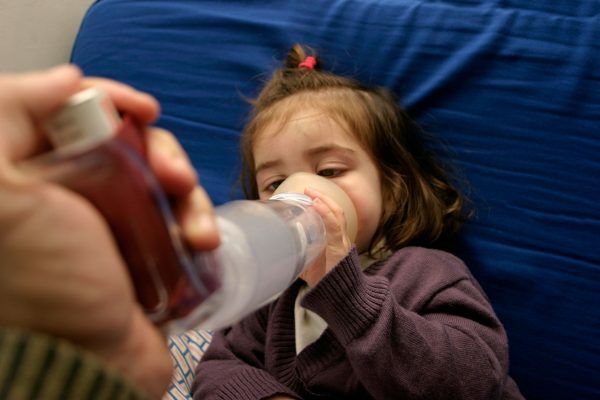 As these children get older, they’re at high risk of developing hay fever and asthma as well. Throughout the year, the atopic triad presents difficulties – dry skin in the winter and pollens in the summer. But thanks to advancements in medical knowledge and treatments, there is much you can do to ease the symptoms. Discouraging scratching. Keep your child’s nails short and consider having them wear cotton gloves or mittens at night (and during naps) to prevent scratching, which can damage their skin – and perhaps even lead to bleeding and infection. Bathing in lukewarm water. Long, hot baths dry out the skin and worsen eczema. Avoid drying soaps and opt for mild, moisturizing baby washes or a cleanser prescribed by your pediatrician. After the bath, pat your child’s skin dry without rubbing. Moisturizing. Immediately after bathing your child, seal in moisture by applying body oil or an emollient to their still-damp skin. Ask your pediatrician to recommend a moisturizer that’s free of perfumes and other possible irritants. Avoiding asthma triggers. Flare-ups can be caused by perfume, cigarette smoke, certain cleaning products, cold air, physical activity and other triggers. Taking a proactive approach. Keep doctor appointments and follow the medication instructions. Help your child maintain a healthy weight and get regular exercise. 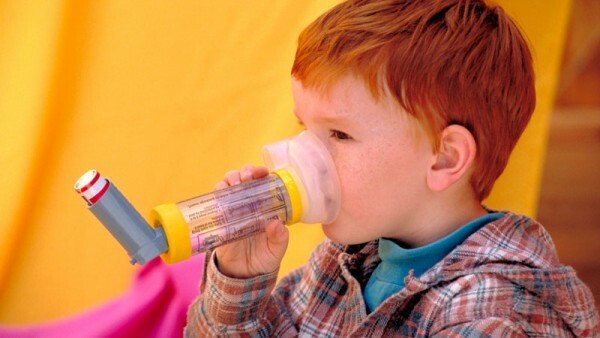 If exercise triggers your child’s asthma, try getting him an inhaler. Minimizing dust. If dust mites trigger your child’s asthma, clean your house on a regular basis and washing bedding at a high temperature. Taking medications. Your pediatrician could recommend or prescribe nasal sprays and antihistamines and other helpful medicines. Some may cause drowsiness. Avoiding pollens. When the pollen count is high, keep windows and doors closed. Do not hang clothes outside to dry . Washing off pollens. After your children have been outside, give them a bath to rinse off pollens. Dress them in clean clothing. Using petroleum jelly. Gently rub petroleum jelly around the inside of your child’s nose. This helps prevent pollens and spores from irritating the lining of their nose. 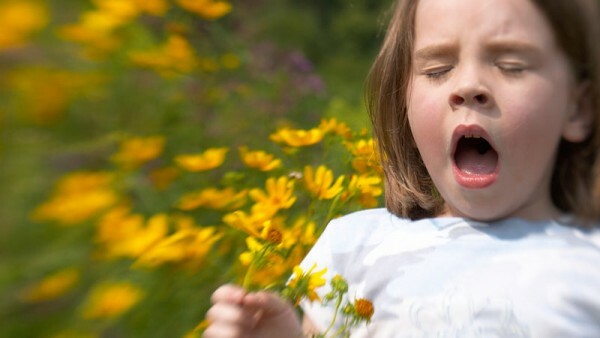 Dealing with asthma, eczema and/or hay fever can be a bit of a challenge. The good news is that symptoms can be controlled by following these tips and the recommendations of your child’s pediatrician.